On Thursday November 9, 2017 Cornelius J. Maxwell General Director Lorna René LLC and United States Army veteran. Here's the speech given by Cornelius J. Maxwell at the Oklahoma State Capitol Building during the Honor Our Heroes II Art Exhibition and Award Ceremony hosted by Lorna René LLC to honor veterans. Cornelius J. Maxwell provided a solution to decrease veteran suicide, decrease veteran homelessness, and various issues veterans endure during their transition under his "Transition Units Theory." ​Please share, and copy the link and repost it. Let's make this concept go viral. Let's raise the awareness and start talking about this awesome "Transition Units Theory" by Cornelius J. Maxwell. HISTORICAL SPEECH AT THE HONOR OUR HEROES II ART EXHIBITION AND AWARD CEREMONY By cornelius j. Maxwell! On Thursday November 9, 2017 Cornelius J. Maxwell the General Director for Lorna René LLC gave a speech that can and will change the course of our country. During the Honor Our Heroes II Art Exhibition and Award Ceremony Mr. Maxwell introduced his Transition Units Theory which is designed to improve the circumstances of transitioning veterans from military service to civilian life. Cornelius presents a feasible solution to this issue which have brought up questions and debates with no solutions since President George Washington was President of the United States (POTUS)until now. Honor OUr heroes ii MEMORABILIA coming soon! 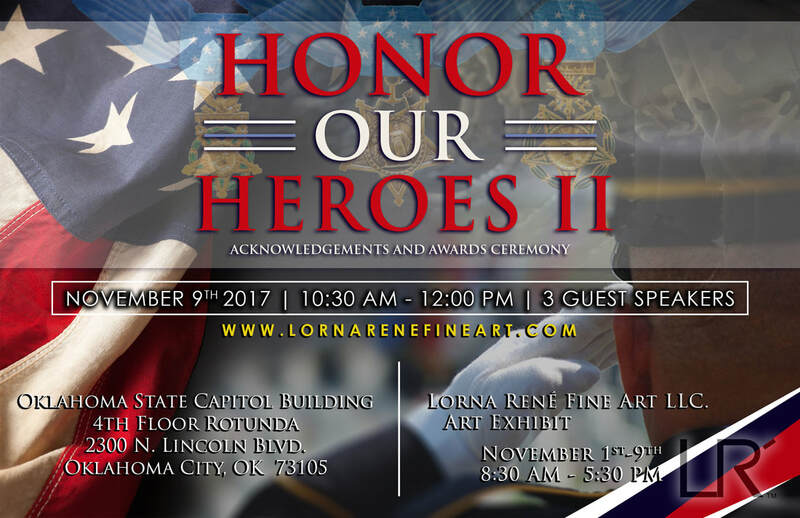 Lorna René LLC presents the “Honor Our Heroes II Art Exhibition and Award Ceremony.” The art exhibition will unveil art themed to artistically depict the sacrifices our military veterans and families endure due to defend our nation. Lorna René have a goal to honor 100,000 veterans during the art exhibition and request for the general public to register as many veterans as they may wish to be honored at absolutely no cost! The art exhibition will be held from November 1-9, 2017 from 8:30 am-5:30 pm. On November 9, 2017 from 10:30 am-12:00 pm. Cornelius J. Maxwell (General Director for Lorna René LLC, OIF veteran), Major (Retired, OIF Veteran) Vernon Nauls Jr., and General (Retired) Myles Deering (Secretary of Oklahoma Department of Veterans Affairs) will be speaking and honoring veterans during our award ceremony. General Myles Deering will be presenting awards to veterans and personnel of the Oklahoma Department of Veterans Affairs for their sacrificial commitment to answer the call of duty to serve our country. The deadline to register will be 11:59 pm CST on October 27, 2017, and registration locations are at the official Lorna René LLC website www.lornarenefineart.com and at the Oklahoma Department of Veterans Affairs (ODVA). Please help us come together as a community to honor our veterans who have earned the right to be praised due to their unwavering commitment to servant leadership. 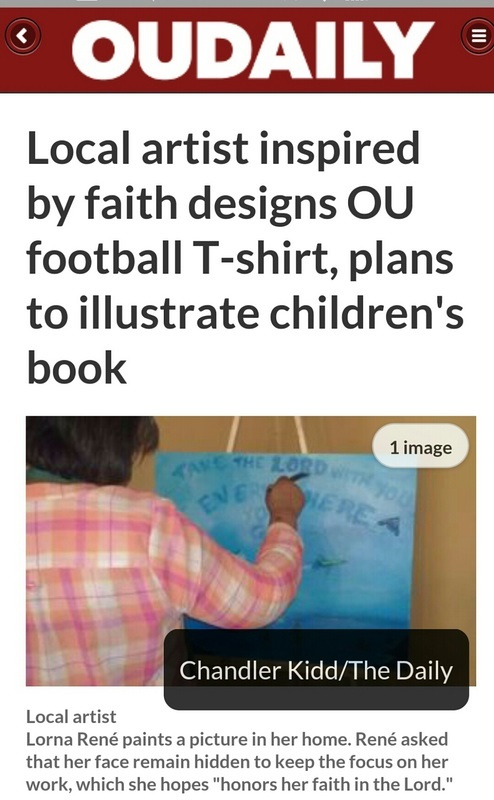 Thank you Chandler Kidd, Jon Laney, and OU Daily. Great article, and thank you for the kind words. 4. Share ad "Football Machine Sooner,"
Your support is the motivation that drives your team. Rather it's 1st and 10, or 3rd and long. Cheering Boomer Sooners fans are the screaming Football Machine driving those extra yards to victory. 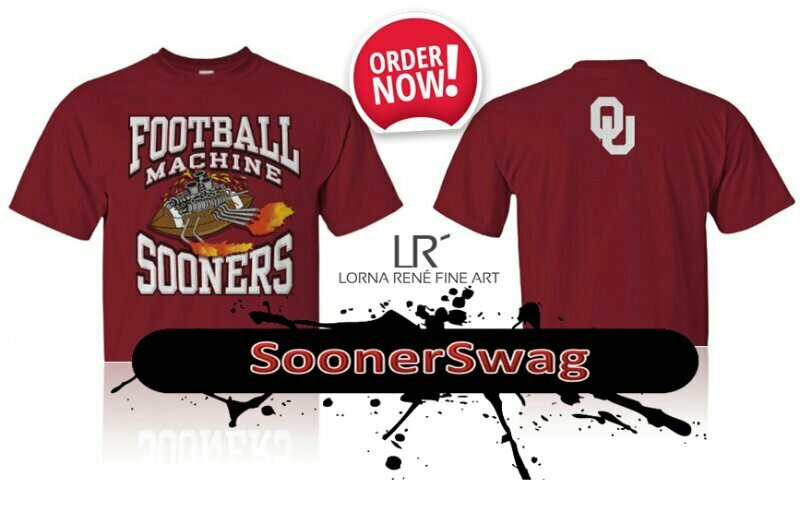 Show friends, family, neighbors, and rivals that you support OU football and your cheers shift your team into winning gear. 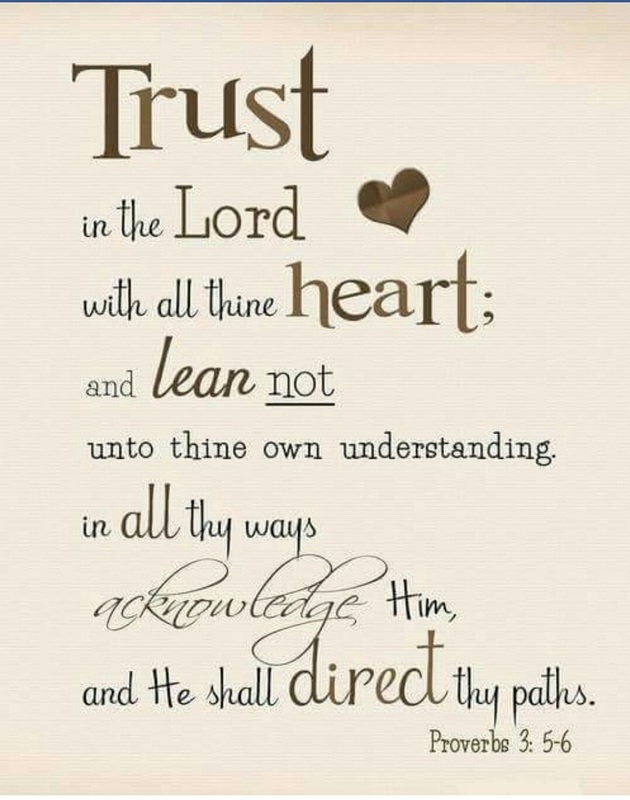 Great read in my opinion. Always continue to grow. Click the link to read the article below about art restoration. Excellent and informative read!